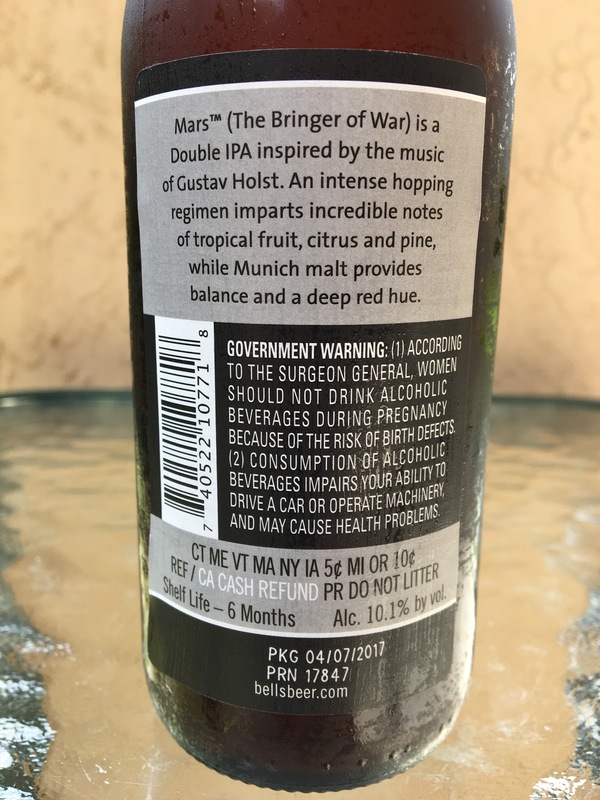 Bell's Brewery released a series of beers between 2014-2015 inspired by Gustav Holst's seven-movement orchestral suite, "The Planets." MARS Double IPA was the first beer in that series and was recently relaunched, including a shipment to Miami. 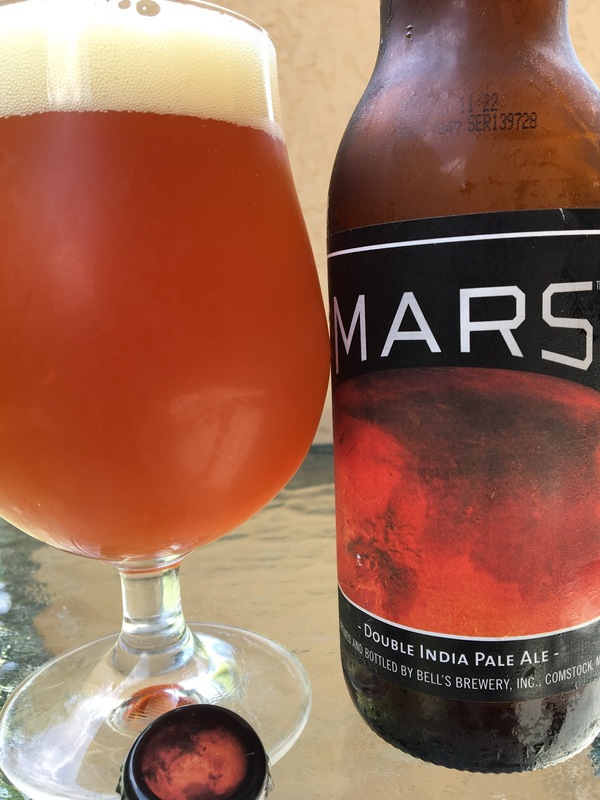 The label and bottle cap both have a nice photo of Mars. PKG 04/07/2017. 10.1% alcohol. Nice reddish-orange color. "The Bringer of War" started with a dainty fruity orange aroma, had to look for it. Flavors shined much more though. Big tropical fruity orange and pineapple flavors come first. Spicy, peppery, tons of pine resin, aggressive! Nice body, some sweetness, balanced with plenty of bitterness. Alcohol and a little heat come at the finish though those were mostly dangerously concealed. Spicy and bitter linger. Nice Beer!